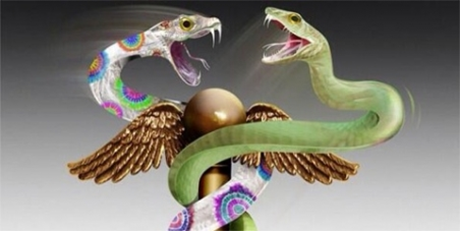 Legal Representation in “Physician Health” Matters: A Swamp in Need of Draining. Are Physician Health Programs (PHPs) above the law? Unable to get law enforcement to take cognizance of reported abuse, many doctors I have spoken with believe that the actors involved are impervious to criminal liability. Complaints of fabrication and fraud involving PHPs and their affiliates to the police, the Attorney General and other law enforcement agencies have been given no credence, tabled or dismissed with little investigation. Believing these agencies are deliberately ignoring credible complaints and the documentary evidence placed before them, some have concluded that state PHPs have been given the power to commit crimes with impunity and immunity. PHPs are not above the law. It is by removing themselves from and blocking the usual routes of accountability and absolute operational control of the testing, assessment and treatment process that has enabled misconduct to remain hidden, unrecognized or excused. The crimes exist but they remain undetected, unnoticed and unpunished. The essence of accountability is answerability which means having the obligation to answer questions regarding decisions and actions. This requires the transmission of information when it is requested. The accountable actor provides the information to the overseeing actors in a transparent manner. Accountability also requires explanation and justification for the information provided. What was done and why? Standards, rules, regulations, codes, laws and other benchmarks are then applied by the overseeing actor to determine if the information provided was appropriate or inappropriate. The availability and application of sanctions for illegal or inappropriate actions uncovered through answerability is also a necessary component of accountability. This is necessary to impose restraint on authority and power. Lack of enforcement of sanctions contribute to the creation of a culture of impunity. The usual mechanisms that exist to impose restraint and create incentives for appropriate behavior and actions are absent. No outside oversight exists to limit their power or subject them to a set of rules. No regulation exists to curb abuse. The authority accorded PHPs and the power they exercise exist in a culture of impunity. The key findings of the2014 North Carolina PHP Audit are below:. No indications of abuse were found, a point brandished by the PHP as redeeming and proving no abuse was occurring. In actual fact it is an ominous finding that also relates to their apparent ability to violate the law. The audit found no indications of abuse but that abuse could occur and not be detected because of an absence of due process for the complainant, excessive control of the complaint process by the PHP and absence of oversight by either the medical board or medical society. What this means is that a doctor with no power is making a complaint against an unsupervised agency with enough power to influence the investigation of a complaint against itself. The reason no indications of abuse were found is because the system is specifically designed to hide abuse. That is the intent. Absence of transparency, regulation and oversight coupled with control of information enables both censorship and doctoring of records. 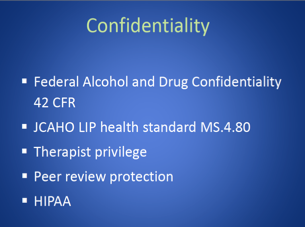 Strict Confidentiality is enforced by HIPAA, peer review protection, and drug and alcohol confidentiality law. PHPs are able to suppress and conceal criminal activity but they are also able to manufacture information designed to hide misconduct. 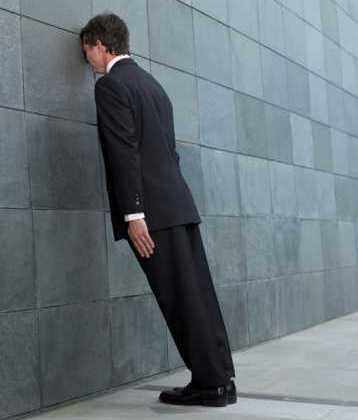 The North Carolina Audit found no objective selection criteria for the out of state assessment and treatment centers because none exist other than ideological mindset and monetary gain. The same facilities are used by most state PHPS. They are, in fact, mandated as they are the “PHP-preferred” facilities. In 2011 The American Society of Addiction Medicine (ASAM) issued a public policy statement on coordination between PHPs, regulatory agencies, and treatment providers. recommending only “PHP-approved” treatment centers be used and the statement specifically excludes ‘non-PHP” recognized facilities. What the Audit diid not discover is the medical directors of all of the “PHP-approved” facilities can all be seen on this list of Like-Minded Docs. It is a rigged game Every aspect of drug-testing, assessment and treatment is kept hidden and secret and within control of the PHP. It is a rigged game in which they have removed themselves from all aspects of accountability. They have, in effect, manufactured a culture of impunity at our expense. The attorney pool is currently over-served by those serving two clients and most of those outside simply do not know enough about the “physician health” legal issues related to doctors. Most of those involved in representing physicians before medical boards in these matters are former board attorneys or assistant AGOs. When those outside this cloister appear before medical boards they are like a deer in the headlights. It is a new terrain where all due process and familiar protocol have been removed. Truth and evidence are irrelevant as labyrinthine administrative procedure and protocol are used to trump all other consideration. Of course this was all facilitated by changes in administrative and medical practice acts orchestrated by the physician health movement “in the interests of protecting the public. This must be recognized and addressed. Skilled negotiators and lawyers with administrative law experience would do well to consider representation for doctors before medical boards regarding “physician health” matters. The current pool is glutted with those who will not “bite-the-hand-that feeds.” They depend on referrals from state physician health programs for their livelihood and this precludes going against the tide. I can verify the accuracy of Dr. Langan’s observations from personal experience.